You’re to think of the recent “net neutrality” ruling as freedom through regulation. The Federal Communications Commission, or FCC, a government regulatory agency regulated and regulators, as you know, will regulate. Yes. Freedom through regulation is an oxymoron. The FCC recently ruled 3-2, along political party lines, ISP’s, or Internet service providers, like AT&T, Time Warner, Comcast or Verizon, cannot block Internet traffic, slow it down or charge content companies like Netflix or Hulu for faster access to its customers. All legal content and web traffic must be treated equally. 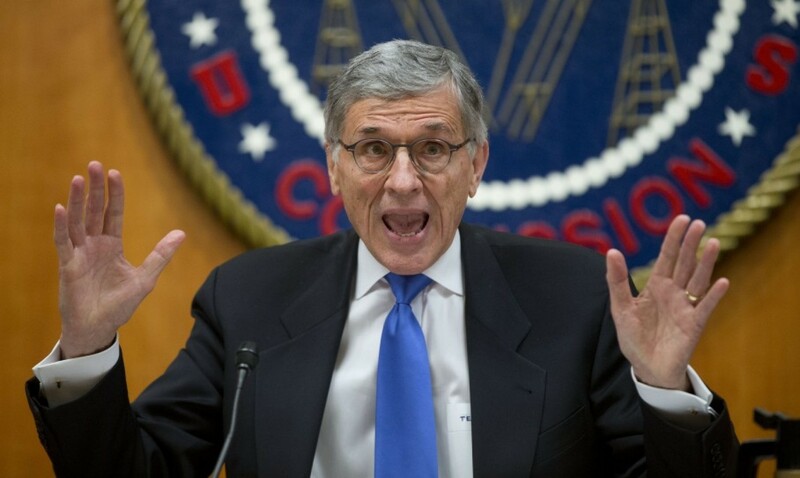 “The Internet is simply too important to allow broadband providers to be the ones making the rules,” said FCC Chairman Tom Wheeler, appointed to his job by President Barack Obama. The President is a supporter of the FCC’s recent decision. The ISP’s are generally against net neutrality, arguing large content companies, like Netflix, should pay for the high levels of bandwidth they use. The large content companies, like Amazon or Yahoo, enjoy things just the way they are and support net neutrality. As with most things, it’s the details where it gets confusing. 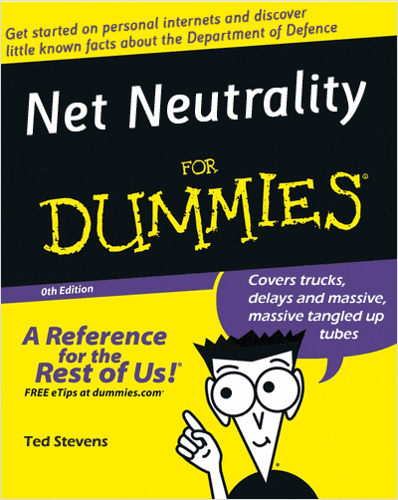 With its ruling, the FCC, decided to “fix” something few consider broken, with regulations that take hundreds and hundreds of pages to explain just eight pages of rules! Don’t believe me? CLICK HERE to read it (if you dare). To make their decision the FCC went back to the Communication Act of 1934 (you read that correctly – 1934) and under the 81-year old law’s Title II, categorizes ISP’s as a “common-carrier” utility, just like the electric, gas or telephone companies you do business with. A common-carrier offers its services to the general public under license or authority provided by a regulatory body, in this case the FCC. The regulatory body has usually been granted ministerial authority by the legislation that created it. The Communications Act of 1934 created the FCC. The regulatory body, or FCC, may create, interpret, and enforce its regulations upon the common-carrier with independence and finality, as long as it acts within the bounds of the enabling legislation. The ruling allows the FCC to impose a “general conduct” or “catch-all” provision too, giving the FCC the authority over anything it deems unreasonable on the Internet. If you’re a lawyer you know the word “reasonable” in any agreement or law opens its meaning up to debate and litigation. The FCC ruling gives the agency new found power, as it allows the FCC to regulate not only your ISP provider, but also the Internet services you enjoy. Does this now allow the FCC to police the content you get from websites and determine if it’s “reasonable” or not? Time will be the judge of this. The final FCC vote was 3-2, split along party lines. 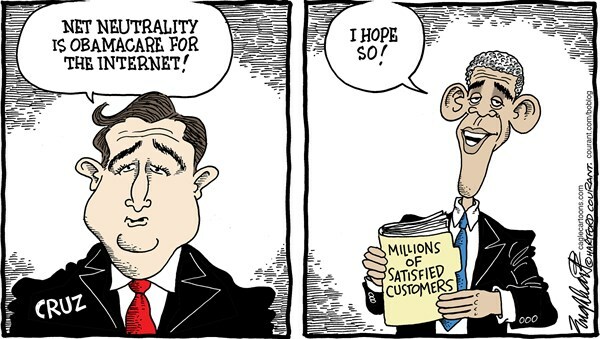 Republican Texas Senator Ted Cruz calls the ruling “Obamacare for the Internet,” saying the “revolutionary power” of the Internet owes its development to the lack of government regulation. The other side saw Democratic President Obama calling on the FCC to develop “the strongest possible rules” in order to protect consumers from ISP’s and their efforts to control online speeds. Very little in the short term. The FCC’s net neutrality decision will be challenged in court; some saying it will eventually go to the U.S. Supreme Court. Part of the FCC’s reasoning in its decision are examples of ISP’s having it “in” for companies like Netflix, in one instance Comcast, which owns NBC Universal, allegedly slowing down Netflix streaming to its customers, even though evidence may show the problems were actually caused by Netflix. And what about your ISP? The new “common-carrier” designation by the FCC means your Internet service is now subject to state and local fees, like the taxes you now pay on your electric or telephone bills. The FCC’s new net neutrality regulations mean you will pay more for your Internet service. Dissenting FCC Commissioner Ajit Pai said, “More new taxes are coming. It’s just a matter of when.” Pai feels Title II regulations explicitly opens the door to billions of dollars in new fees and taxes on broadband by subjecting them to telephone style taxes under the Universal Service Fund. Pai is a former attorney for Verizon. The lesson here: regulators will always regulate and you will always pay. There are two realities in this world we all live in. A.The one we are sold and B. The one that is real. It is very hard to make money from reality B. because it doesn’t need external do-dads to exist. So the make-believe side of life gets all the attention when it comes to selling things. All the money that stands to be made from the Internet can only come from selling the fantasies we all crave. However, the impact the Internet is having on reality A. cannot be ignored. Simply put, the world is the smallest its ever been in history because of the Internet. No matter what any legislation that has the Internet at its core claims to be, the reality is that it is all based on turning a profit from the Internet in one way or another. As someone once said, “Free speech ain’t free”. It doesn’t bother you that ISPs are asking for the right to double-charge for their product? This is like hiring a cab, and finding that they won’t pick you up from the grocery store because the grocery store won’t pay the cab company kickbacks. Net neutrality stops this double-billing.